The Significant Investor Visa (SIV) migration program was launched in November, 2012. Migration Agents are travelling internationally to promote the SIV program in Asia. 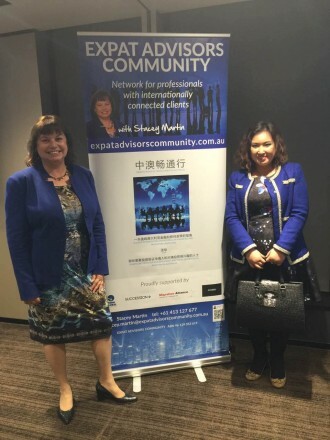 RMA’s Jennifer Fong, Visa Corp and Ivan Chait, Sanat Fe (pictured above) recently attended the Think Global “Invest in Australia” mission which included an SIV Showcase event, hosted by Stacey Martin, founder of Expat Advisors Community. David ran the first SIV focused conference in Australia, and the newly mandated emerging companies and venture capital sector was the focus for the third annual Sydney event last July. He has established a leading role in SIV, Chinese HNW and property development. He has tremendous insights into the Chinese high-net worth mindset, and keeps abreast of the latest research and trends across the wealth and funds management industries. In this conference session David will share his insights on the magnitude of wealth in China, why they are looking to migrate to Australia, and what they are looking for in terms of family lifestyle, business and investment opportunities. Stacey has been working with migration agents for the past three years in constructing SIV Compliant portfolios. 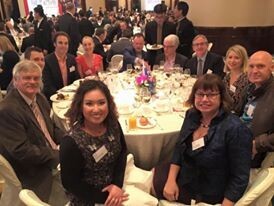 Working closely with NAB Migrant banking, Stacey brings together a range of professionals to provide a co-ordinated approach from specialist Asian bankers, property and business experts, to international tax, legal and other advisors. Stacey will provide an update on the new investment framework and practicalities of the SIV program. She will also outline her approach in providing advice to SIV applicants under Australia’s highly compliant financial services regime, and share client case studies including navigating the language and cultural aspects. You can view NAB’s flyers which summarise the SIV program requirements here in English and Chinese. Stacey is also the author of “Smooth Road to Travel – China to Australia” which you can download here. For more information on the Migration Alliance conference and to book click here.